Yanos Gramatidis is leading its Government & Privatization practice. He is extensively involved in complex M&A and privatization projects, advising both the government and the private sector. Yanos has a strong corporate and commercial practice advising clients as Mars, United Airlines, Whirlpool, Praktiker, Attica Bank, Boeing Capital Corp. and others. 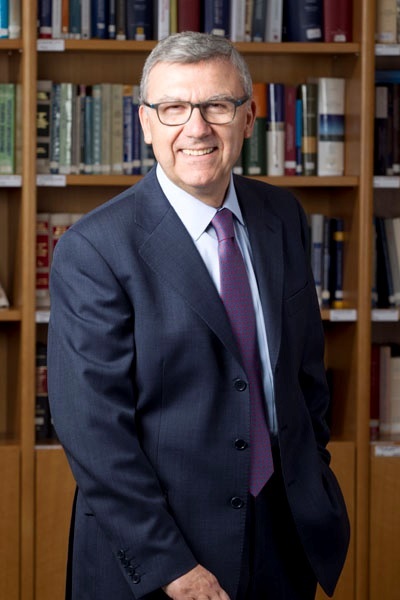 He is considered one of the world experts in franchising, having drafted the Greek Code of Ethics on Franchising and the Greek Legal Terminology on Franchising. He is the legal heavyweight in Greece on aviation law and aircraft transactions, advising almost all foreign aircraft leasing companies when transacting in Greece. He has written a substantial number of articles on corporate, investment, privatization and franchising matters. Yanos is the Honorary Chairman of American-Hellenic Chamber of Commerce.